All patients diagnosed with a stroke or suspected of having had a stroke are admitted to the 22 bedded stroke unit, Burrator Ward, on level 8 at Derriford Hospital. 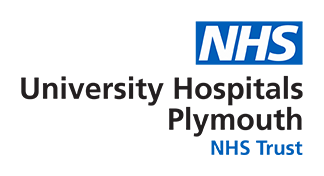 Derriford Hospital in Plymouth is also a specialist centre for neurosurgery. Some patients who have had a particular type of stroke may be transferred to the neurosurgery ward, Moorgate, rather than the stroke unit. The doctors will make a clinical decision about the best place for each patient's care. All patients will be closely monitored and early assessment for rehabilitation will be undertaken. Care is provided by the multi-disciplinary stroke team, which is made up of stroke specialist doctors, nurses, physiotherapists, occupational therapists, speech therapists and psychologists. The team works closely with the stroke rehabilitation units at Mount Gould and Bodmin Hospitals, and the Early Supported Discharge Team to ensure that patient transfers smoothly to the rehabilitation unit when appropriate. If you are having communication difficulties (talking, understanding, reading or writing), a Speech and Language Therapist will see you. They will assess the level of your problems and find ways for you and your family to make communication easier. If you have swallowing difficulties, a Speech and Language Therapist will also see you. They will advise the stroke team how to make sure you swallow safely (i.e. ensure food and drink do not go down the wrong way into your windpipe and lungs). This may mean having a special consistency diet that is easier and safer for you. If you cannot swallow safely at all, you will be unable to eat and drink. You will be ‘nil by mouth’ and may have a feeding tube passed via your nose directly to your stomach. This will be fully explained to you. Click here to download the Stroke Patient information leaflet.